Shirts With Random Triangles: Lane Kiffin Announces He And Wife Lalya Plan To Divorce. Kiffin released a statement about the divorce to FOX Sports analyst Bruce Feldman. 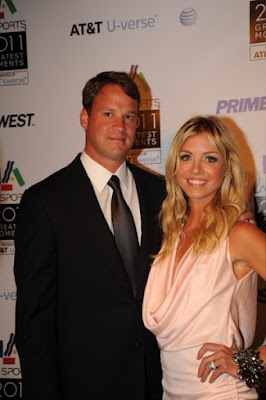 "After a lot of careful thought and consideration, Layla and I have mutually decided to divorce," Lane Kiffin said. "We are fully committed to our kids' future being our No. 1 priority. We will maintain an amicable relationship with respect for each other as we raise these three wonderful children. We will have no further comments and appreciate respect for our family's privacy." Lane and Layla Kiffin had been married since 2004. They have three children.